The Adventures of Batman & Robin VGA 90 GOLD! Sega Genesis RARE 16-BIT CLASSIC! 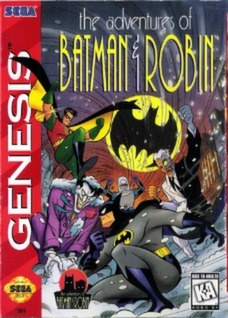 The Adventures of Batman & Robin VGA 85+ GOLD! Sega Genesis RARE 16-BIT CLASSIC!
? Adventures of Batman & Robin (Sega Genesis 1995) AUTHENTIC Game Cart Works ? Adventures of Batman & Robin (Sega Genesis, 1995)AUTHENTIC Tested & Working! Adventures of Batman & Robin (Sega Genesis, 1995) - Cart Only - Tested!